3 Prong Martini Style Earrings are all the rage right now. 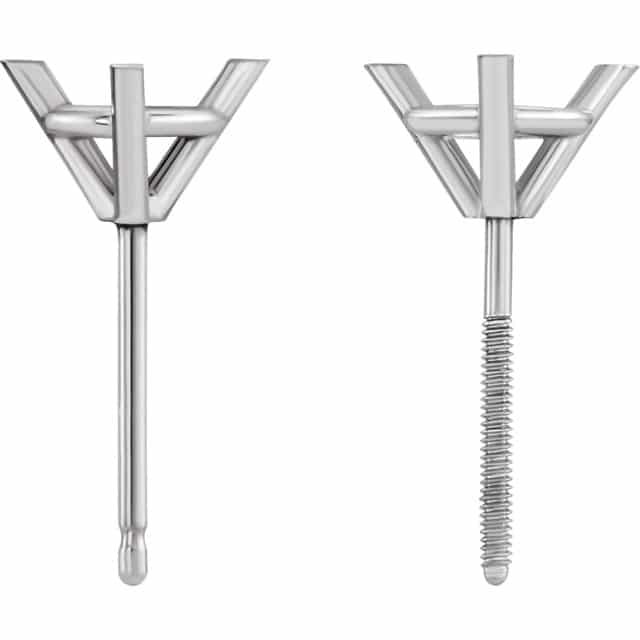 Far more stylish than the traditional straight for prong setting, and for stones up to a carat, they are just as secure. For stones larger than a carat, four prong Martini setting will work just as well. Any type of stone can be used in these settings. STONES: Any size from 3.5mm up to 8mm. STONE CHOICES: If we can find it, we can use it. The listed price is for 3 Prong Martini Style Earrings in 14K Gold with CZ. Contact us for other pricing options. Click HERE for another pair of 3 Prong Martini Style Earrings or contact us with your idea for custom earrings today!